Main Wildlife Attractions: Bonnet Monkey, Wild Boar, Monitor lizard, Short-nosed Fruit Bat, Small Indian Civet. Formed in the year 1967, the sanctuary was further enlarged in the year 1988 when the Great Vedaranyam Forests and the Talaignayar Reserve Forests were incorporated within it. Close proximity to the sea encourages the growth of tidal swamps and mangroves in the Point Calimere Wildlife Sanctuary. In addition to that Dry evergreen forests also form part of the vegetative cover. The region receives an annual rainfall of 1500 mm. Even though animals can be sighted in the Point Calimere Wildlife Sanctuary, it is best known for its large and impressive collection of birds. 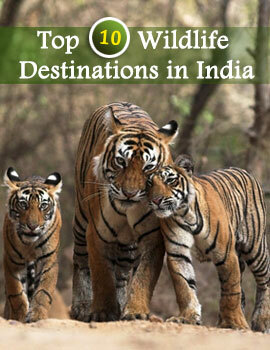 Some of the animals that can be spotted here include the chital and the wild boar. The list of birds is far longer. The water birds that have made the Point Calimere Wildlife Sanctuary their home are teals, gulls, terns, plovers, stilts etc. Flamingoes and blackbucks are sighted in large numbers at this bird sanctuary. One will be stunned to here that as many as 3000 flamingoes can be seen at the same time. The friendly dolphins provide the greatest joy to visitors. You will also be able to see many turtles along the shores. It is best to visit the Point Calimere Wildlife Sanctuary in the months of November, December, January and February. This is because even though the blackbucks and Chitals are seen all the year round, the water birds, many of whom are migratory are seen in large numbers only in these months. 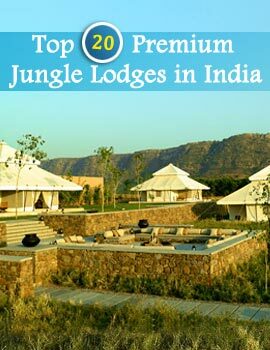 There are forest rest houses in Point Calimere Wildlife Sanctuary where you can enjoy a comfortable stay. There are many boats in the sanctuary and you can venture into the interiors of the sea in these boats to get a glimpse of the various birds. The Point Calimere Bird Sanctuary is very well connected by roadways to various parts of the state. The nearest railway station is Thiruthuraipoondi which is at a distance of about 42 km. Tiruchirapali Airport is located at a distance of about 225 km. Buses ply at regular intervals from both these places to the Point Calimere Wildlife Sanctuary.